Take it Easy for Labor Day! Dr. Liz: Labor Day Grilling – Go Fruity! Save $1 on Martinelli’s Organic Apple Juice, and 50¢ on Blue Diamond Almond Breeze. $19.99, save $6. 750 ml. bottle. 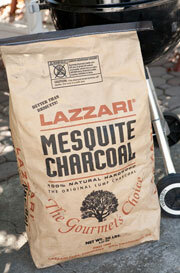 When you’re firing up the grill for Labor Day, add some delicious smokiness to your entrees with mesquite charcoal from Lazzari, the nation’s largest and oldest producer of premium mesquite charcoal. Check out our ad for even more ways to save! Please download this week’s ad from our website. Simply select your closest store location and click Download Ad. Come to our Woodland Nugget’s Healthy Living department on Friday, September 3, from 5 p.m. to 7 p.m., for our free makeover event: Ladies Night In, featuring Gabriel Natural Cosmetics and Organic Skincare products. Receive a free gift with purchase. For more info, call our Woodland store at (530) 662-5479. The 15th annual SPLASH happens at the Roseville Aquatics Center (6:30 p.m. to 10:30 p.m.) featuring local restaurants, wineries and micro-breweries. It’s an evening of art, wine, food, spirits, and live entertainment through the Roseville Chamber of Commerce. Nugget Markets joins with local businesses with a sampling table of goodies from Nugget Markets kitchens. For more information, visit rosevillechamber.com. Nugget Markets in Elk Grove once again supports the Elk Grove Community Foundation, which facilitates educational opportunities through scholarships, grants, and programs addressing community needs. Nugget will feature a tasting table with Nugget goodies during this fun-filled evening for a great cause, 5 p.m. - 8:30 p.m., at the SES Hall in Elk Grove. For more information, visit egcommunityfoundation.org. It’s the last night for Performing Arts of Roseville’s Music in the Park series, with Mumbo Gumbo performing at 6 p.m. at Royer Park in Roseville. It’s a fun, free, family-friendly evening of entertainment and good times, and Nugget Markets is once again a proud supporter. For more information, visit rosevillemusicinthepark.com. For more information on upcoming events in your community, visit the events section of our website. Prices valid 9/01/10 – 9/7/10. 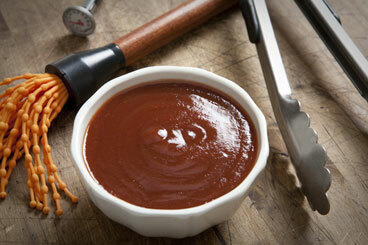 Add a homemade touch to grilled meats with this quick and tasty barbecue sauce. Serve it on anything from grilled chicken to baby back ribs. Baby backs are even on sale this week! PrairieFresh Baby Back Ribs $3.99/lb., save $2/lb. If you don’t feel like cooking this Labor Day, not to worry: we’ll do the grilling for you! 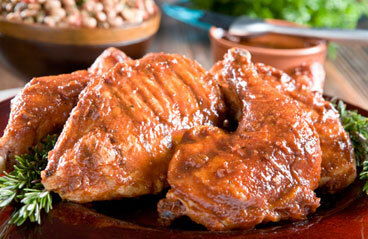 Stop by our deli for delicious Barbecue Chicken, $7.99/lb., save $2/lb. Labor Day Grilling – Go Fruity! Select firm but ripe fruit. The best choices include plums, nectarines, peaches, apricots, figs, pineapple and pears. Clean fruit in running water and dry before grilling. Cut fruit in half (remove pits if necessary), or cut into large chunks. Skewering works well for smaller fruits such as strawberries or cherries. Grill fruits on low heat or when coals are dying down. Plan on grilling fruits when everyone is sitting down to eat the main meal; you can put the fruit on and let it slow-cook over the fire. Sprinkle one side with cinnamon and a drizzle of honey and cook about 3 to 7 minutes (or until golden). Appeal to chocolate lovers by placing a small square of dark chocolate in the center of a pear, plum, peach or nectarine half during the last few minutes of grilling for a melt-in-your-mouth treat. Wrap a collection of fruit pieces in foil with flavorings (nutmeg, cinnamon, vanilla) and place foil package directly into coal embers for a delicious steamed fruit compote.